To become a flooring contractor, it is a good idea to gain experience as an installer. 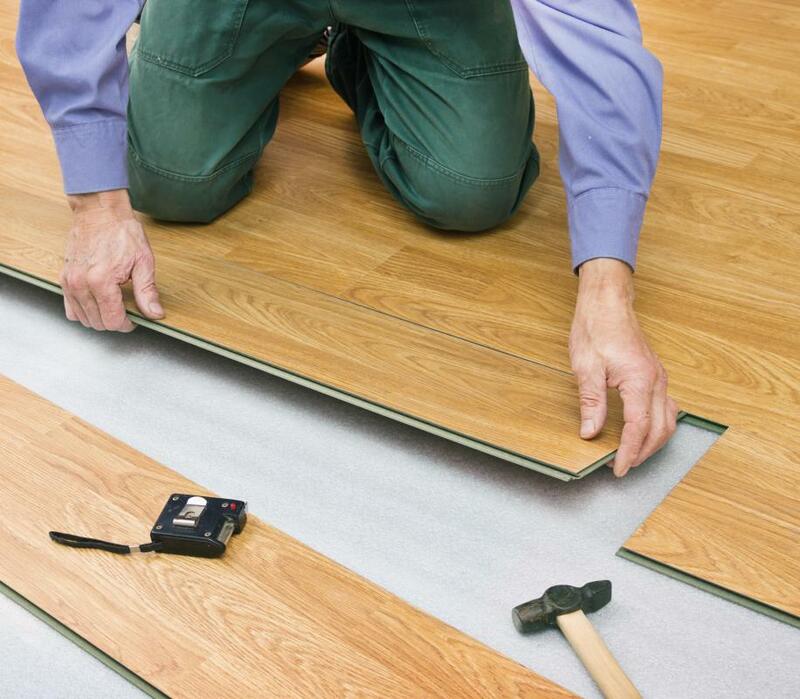 A flooring contractor installs, maintains and repairs floors in homes and businesses. 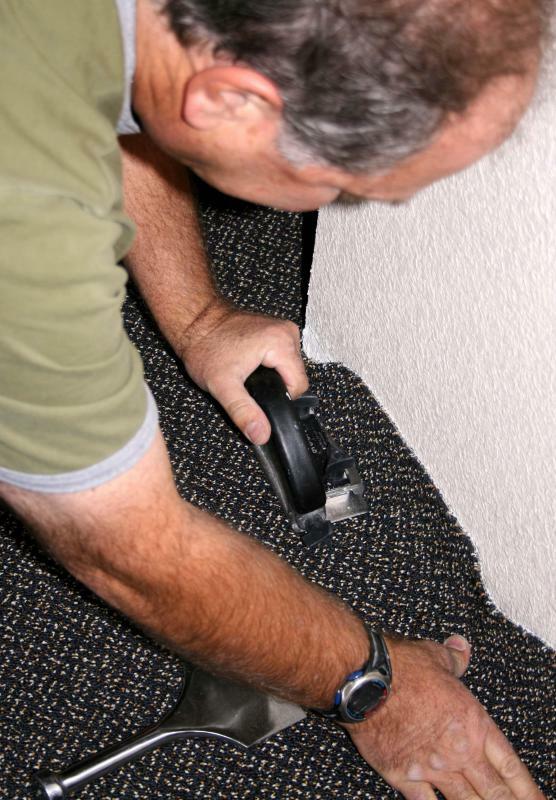 Flooring contractors install carpets and other floor coverings. A flooring contractor is a company or individual who installs, repairs and maintains floor surfaces in homes and commercial buildings. These contractors may be a single individual or a large corporation with hundreds of employees. Each flooring contractor may specialize in a specific type of floor-covering material, or offer services aimed at a wide variety of materials. Others may focus on a similar group of materials, such as vinyl and linoleum, or hardwood, laminate and other wood products. Floor coverings many different types of materials, including hardwood, laminate, carpet, tile, stone and resilient products like vinyl or linoleum. Homeowners and building managers may hire a flooring contractor to prepare the subfloor to receive these floor coverings, or to refinish and repair existing floor surfaces. A flooring contractor may also be hired to restore a historic flooring material, particularly hardwood or certain types of tile and stone. One of the most common projects for these contractors is floor installation, which can save homeowners the trouble of trying to install floor coverings themselves. In the residential market, homeowners will typically contact various contractors to request pricing for a project. The contractor may visit the home before providing an estimate, or may simply provide pricing based on the homeowner's description of the project. After the homeowner has agreed to a specific price, the contractor will arrange a date to come and install flooring. He may also provide cleanup and disposal of existing flooring products. In the commercial market, the flooring contractor will generally produce an estimate based on drawings and other written instructions. The lowest bidder is often awarded the job, and will typically be faced with much more stringent scheduling requirements than those experienced by residential contractors. He must be willing to coordinate with other tradesmen, and may be given a contract to perform routine maintenance after the flooring installation is complete. If someone is interested in becoming a flooring contractor, he or she should take the time to explore the different materials and products that are currently used in his or her area. It is a good idea to gain experience as an installer if possible, or read up on installation techniques. One should consider taking classes at a community college or trade school to learn more about flooring and the building industry. It is recommended to look for work as an assistant installer or at a flooring distribution company. If someone has significant experience with floor coverings, he or she can consider starting a business installing flooring for local residents or businesses.